Your boiler is the hardest working piece of equipment in your home during the winter months, so you’d probably think that during the summer months, while we’re all enjoying the warmth from the sunshine, that the boiler was enjoying a break. 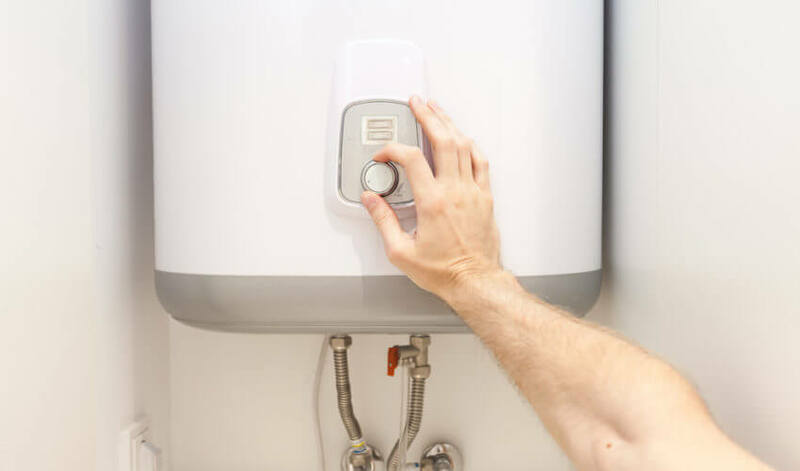 However, the summer months, when the boiler is not in use as much as it has been, are an ideal time for problems to start developing, and if you want your boiler ready for action once the cold weather returns, there are a few things you can do during the summer to keep your boiler in good health. When was the last time you had an expert come and inspect your boiler? The Association of Plumbing & Heating Contractors found that nearly 15% of boilers have gone unserviced for over two years. Summer is the ideal time to get a good deal on boiler maintenance, as boiler engineers will have less emergency call-outs to deal with and will be available to carry out servicing. Your central heating probably won’t be needed during the summer months, but a quick fire up of the system, for no more than ten minutes, will keep the system ticking over and stop the boiler taking too much strain when you finally need to get the heating going again. Over time, your boiler will naturally lose pressure. This causes it to become less efficient. Grab your manual and check the optimum pressure level for your boiler. It should also tell you how to top it up if your boiler needs more pressure. If this all sounds a bit scary, don’t be afraid to call in a plumber for help. Bleeding radiators when the heating is on is never a good idea. It’s an easy job. A radiator key should fit neatly into the bleed valve. Turn the key ninety degrees anticlockwise, and listen for the sound of any trapped air escaping. It’s this sort of thing which will stop your radiators working properly. Once you see water starting to drip out of the radiator, turn the key clockwise and lock the valve closed again. Check the boiler pressure after doing this, as removing air from the system, even unwanted air, can cause pressure to drop in your boiler. While it’s light, it should be easier to spot any cracks, leaks, or soot marks around your boiler. Any of these could indicate a potential problem. Unusual clanging noises also indicate something is going wrong, and professional help is needed. Have a look at external venting, air bricks and flues, and ensure they’re not blocked with debris. Space is a premium for many of us, and the temptation to chuck items into the cupboard where the boiler hides can be overwhelming. While a few items shouldn’t be a problem, filling up every space around the boiler can impact on its ventilation, and cause real problems. If you’re in any doubt about too much clutter around the boiler, chuck it out, or call a plumber for their opinion. When it comes to problems with your boiler, prevention is definitely better than cure. The summer months are the ideal time to show your boiler some TLC with essential boiler maintenance, whether that’s from you or the experts at Range Heating. If you’re looking to get a new boiler, take a look here or get in touch with us!